Fast – Extreme Electrical Service LLC understands that maintaining production levels is vital, and offers a swift response to any emergency affecting your electrical systems. Limit the costs of down time and production losses by calling Extreme Electrical Service LLC for emergency service. Timely reactions that address the problems in priority order are all part of Extreme Electrical Service LLC’s service in times in need. Satisfaction Guaranteed - When an emergency threatens your electrical systems, Extreme Electrical Service LLC has the resources to respond quickly. And Extreme Electrical Service LLC backs up that promptness with solid customer service, guaranteeing their complete attention until the problem is fully repaired. This level of attentive service extends beyond the immediate repairs needed in an emergency service, and allows you to fully rely on Extreme Electrical Service LLC’s expertise. 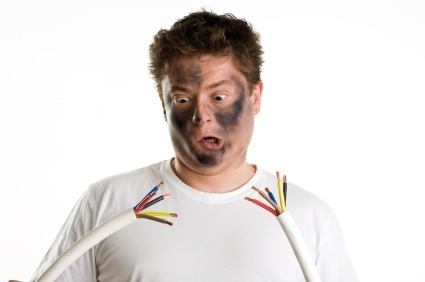 When your electrical system is down and requires emergency service, Extreme Electrical Service LLC offers an immediate response, fully trained electricians and a satisfaction guarantee. Trust the professionals to have your system up and running again quickly and safely. Call Extreme Electrical Service LLC at (816) 548-1162 for more information.